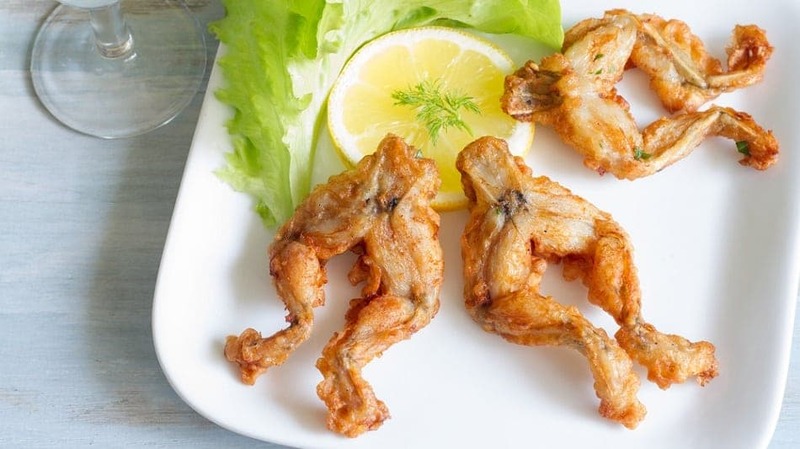 Frog legs are a well-known French and Chinese dish. The legs of edible frogs are also eaten in Vietnam, Thailand, Indonesia, northern Italy, parts of Portugal, Spain, Albania, Slovenia, northwest Greece, the Kerala state of India and the Southern regions of the US. They are often said to taste like chicken.